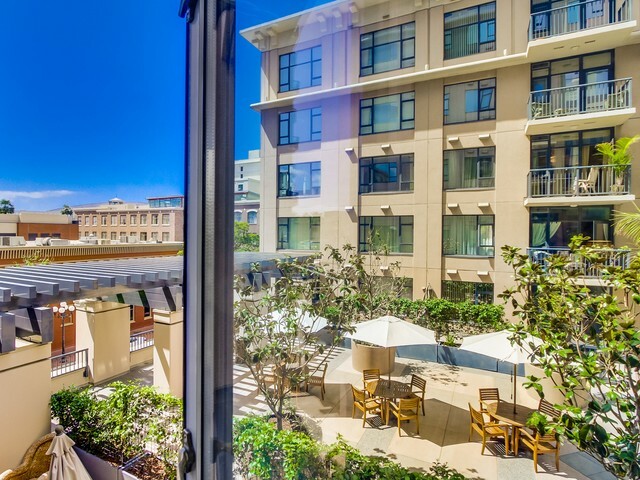 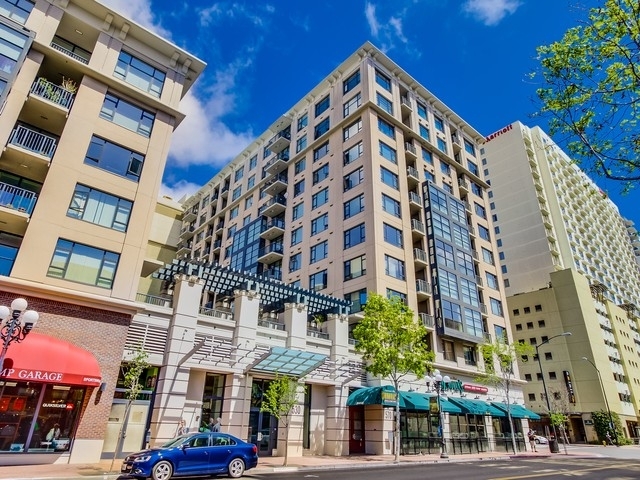 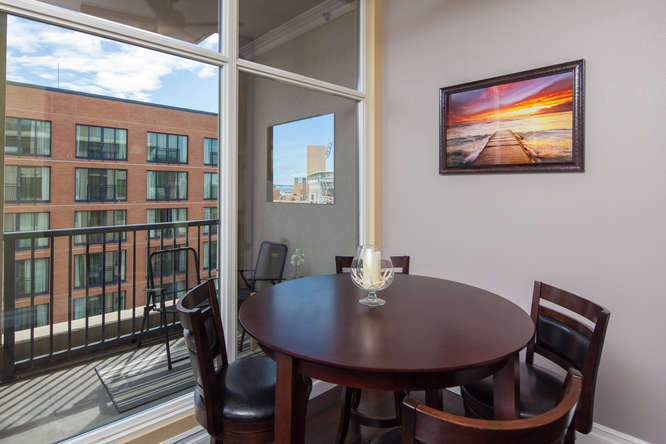 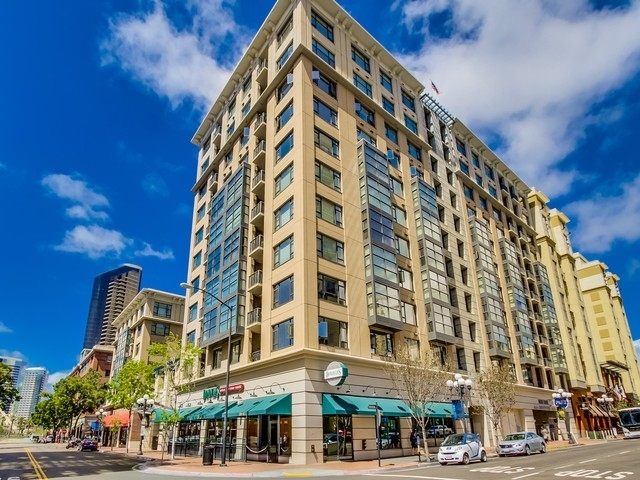 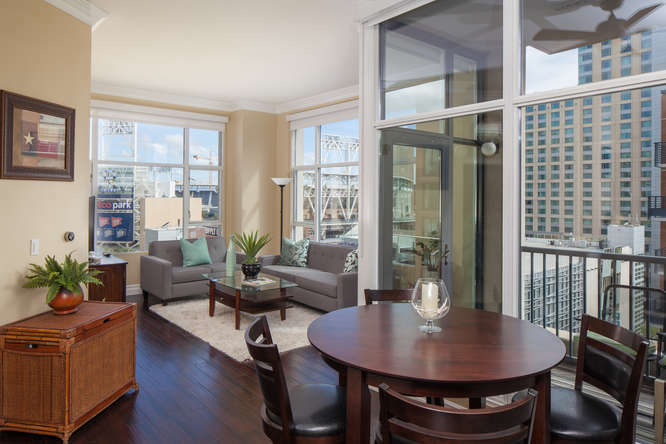 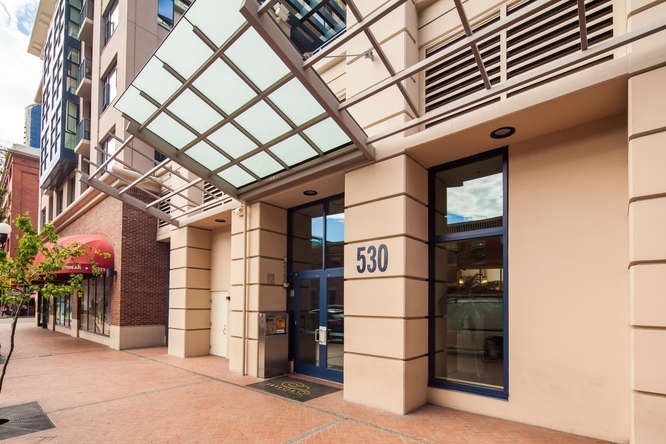 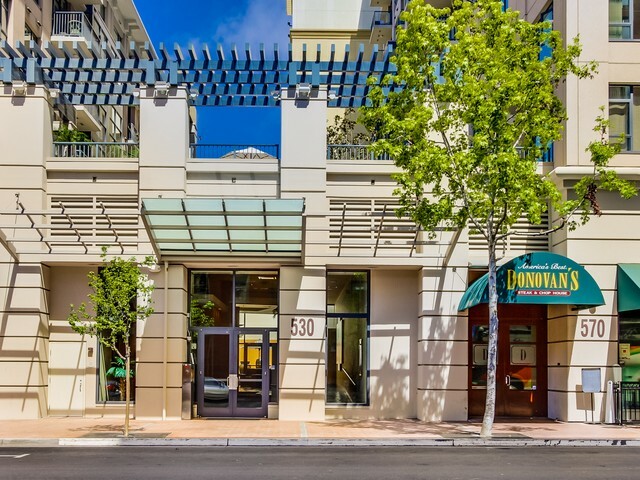 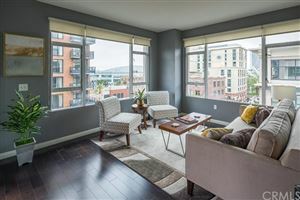 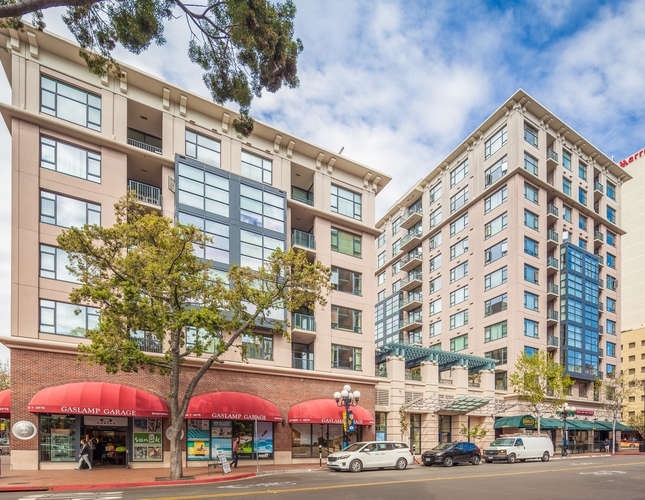 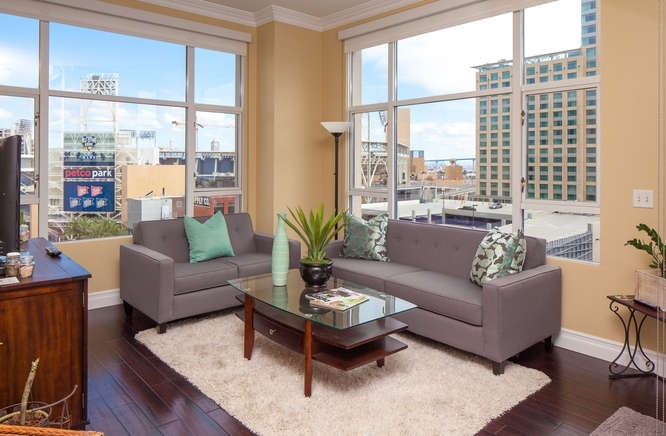 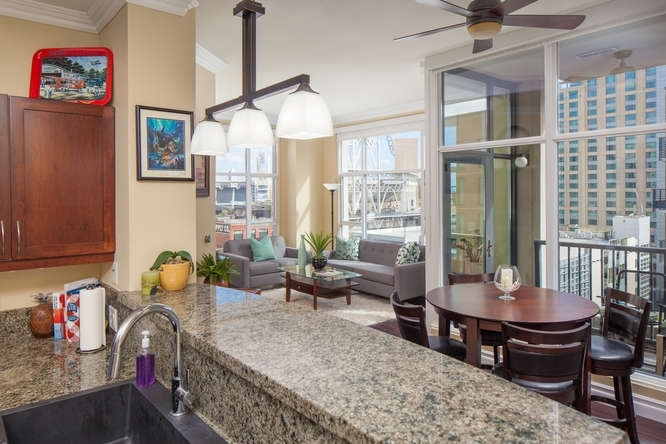 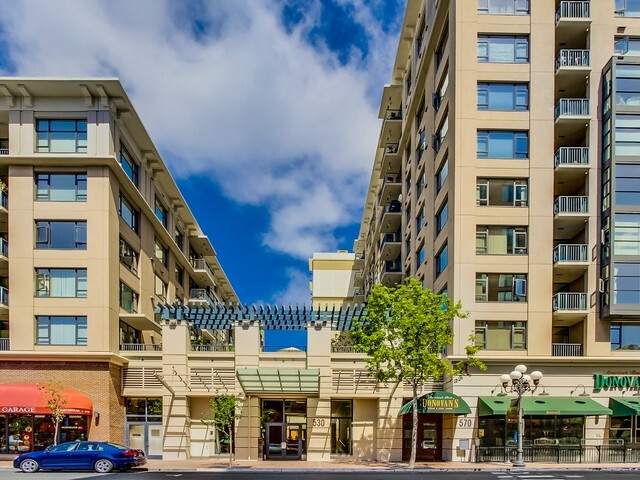 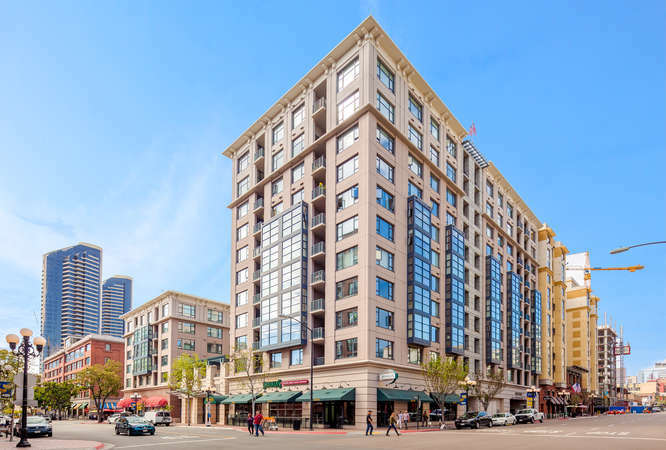 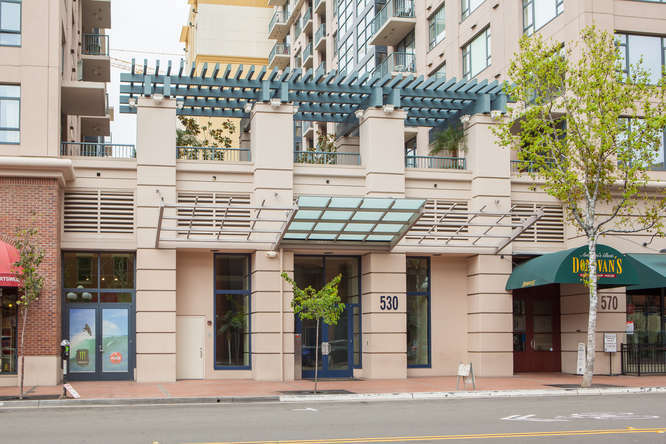 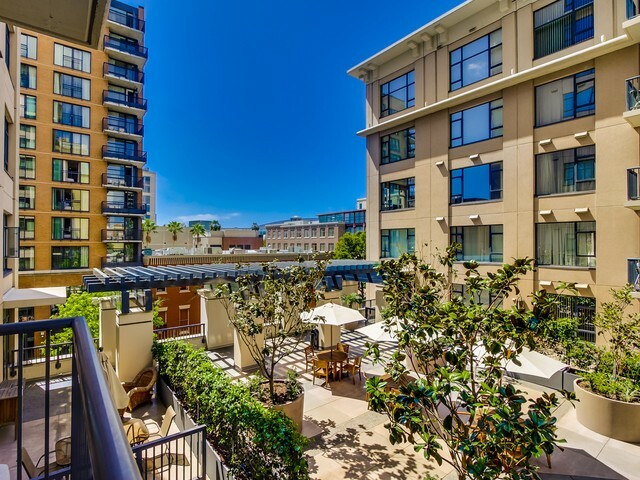 Trellis San Diego Condos are located in the heart of the Gaslamp Quarter on the corners of K Street and 5th Avenue. 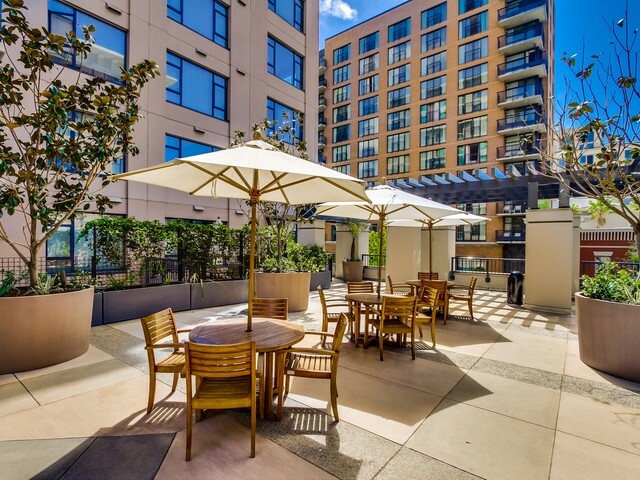 Trellis was built in 2005 and is comprised of two buildings joined by a common lobby and separated by a wonderful outdoor terrace space. 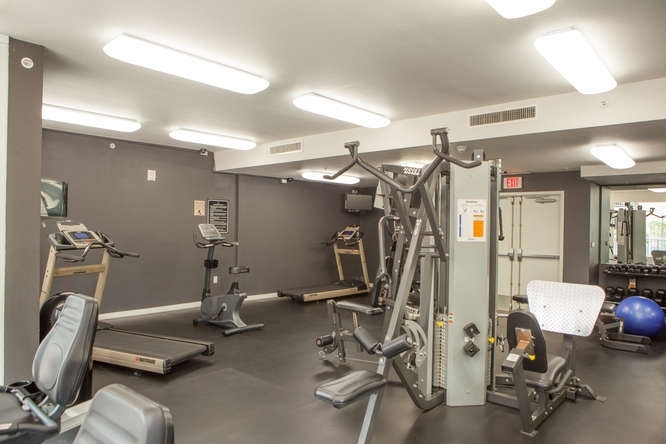 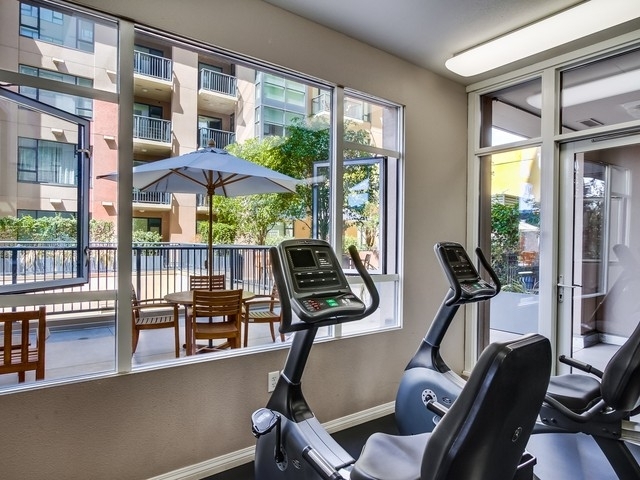 Trellis condos contain 149 units which include studio, one bedroom and two bedroom floorplans ranging from 450-1,000 square feet. 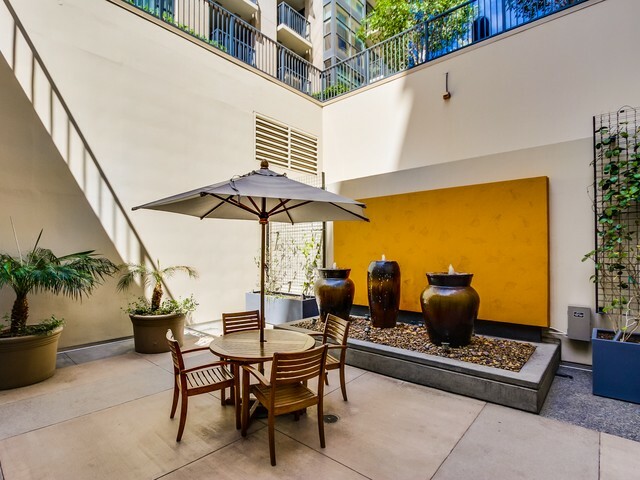 The two buildings are solid concrete, steel and glass and the construction of Trellis is good quality. 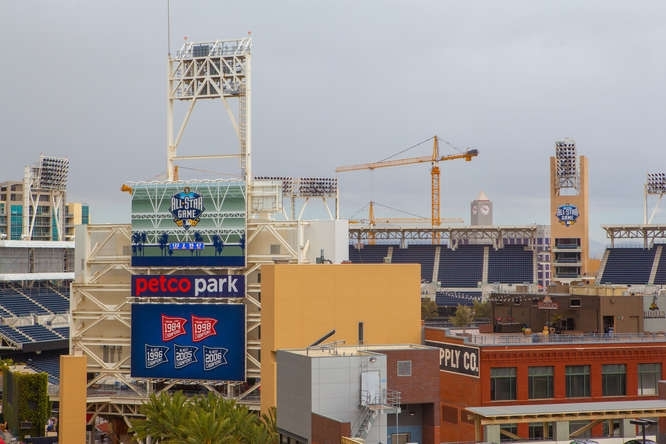 The tower to the East is 11 stories tall and some residences have views towards Petco Park as well as city lights and some views of the bay. 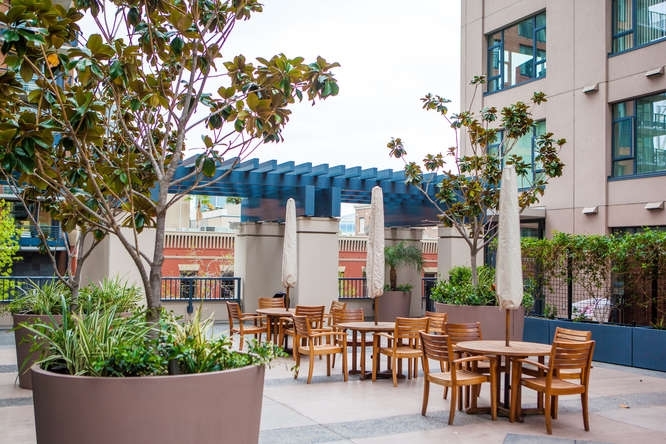 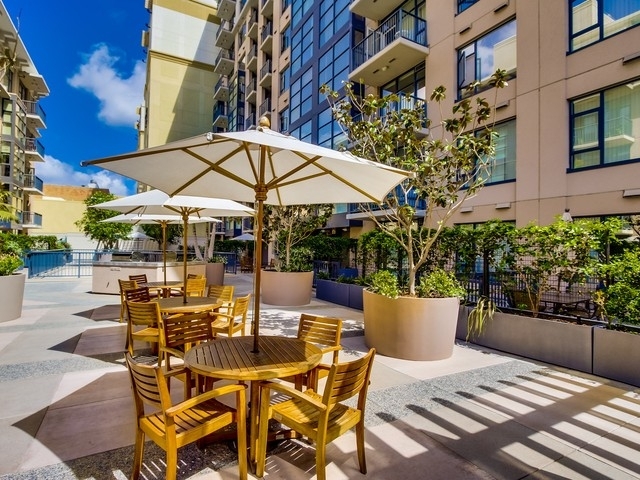 The Trellis San Diego tower to the west includes 8 stories and features great city views as well as views into the common area terrace with its tropical landscaping, BBQ’s and outdoor lounging area. 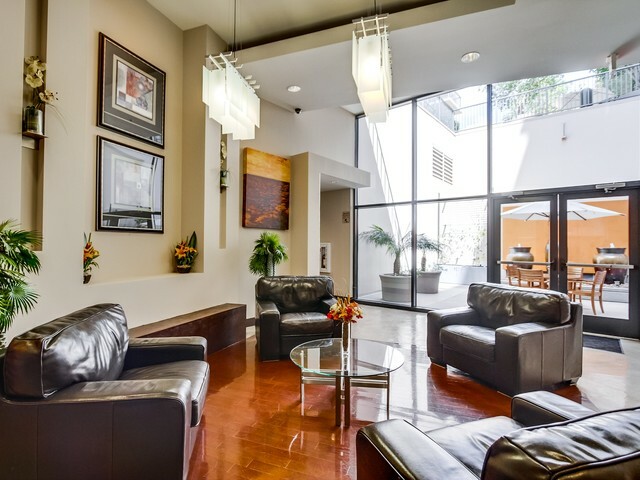 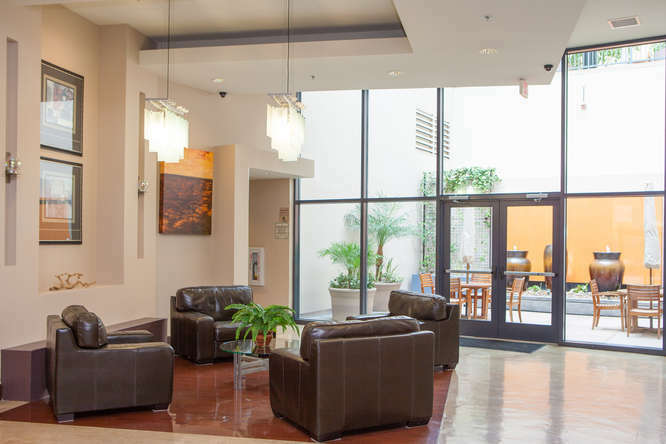 The lobby is bright and contemporary and features a small lounge reception area. 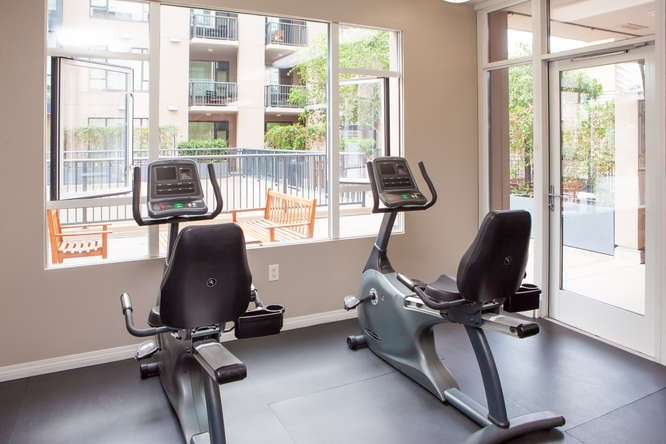 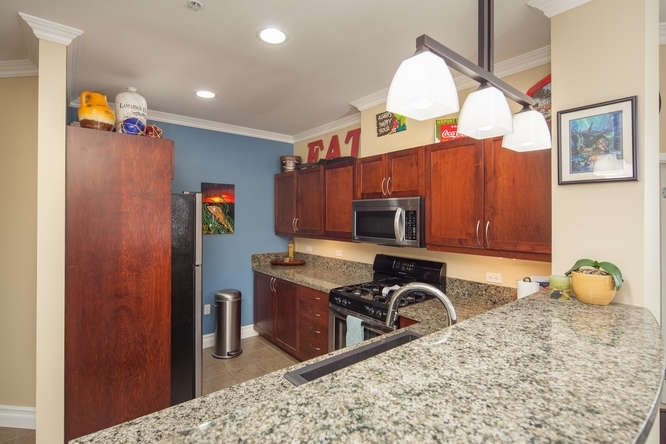 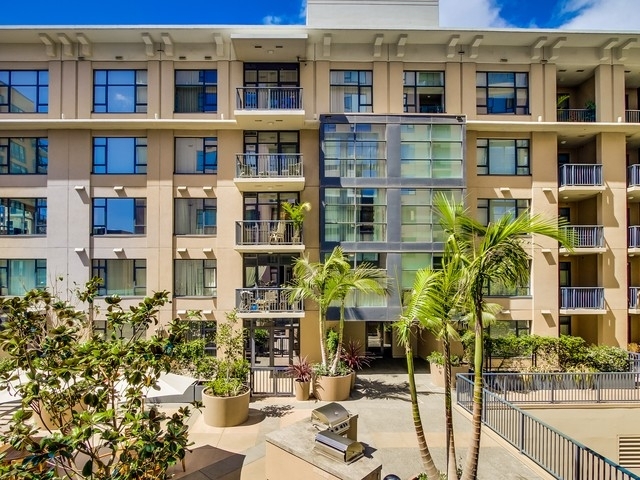 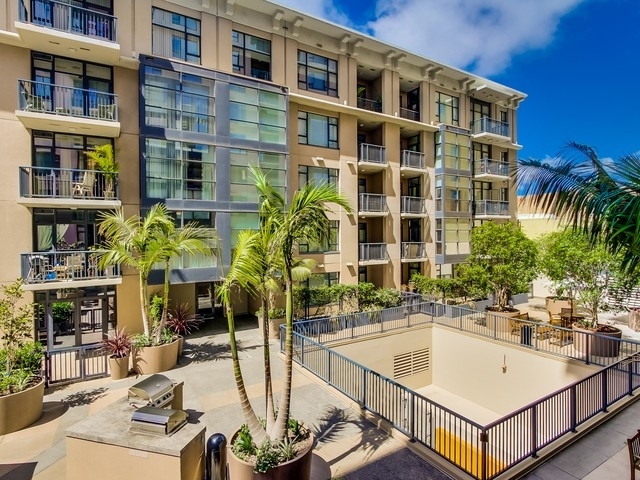 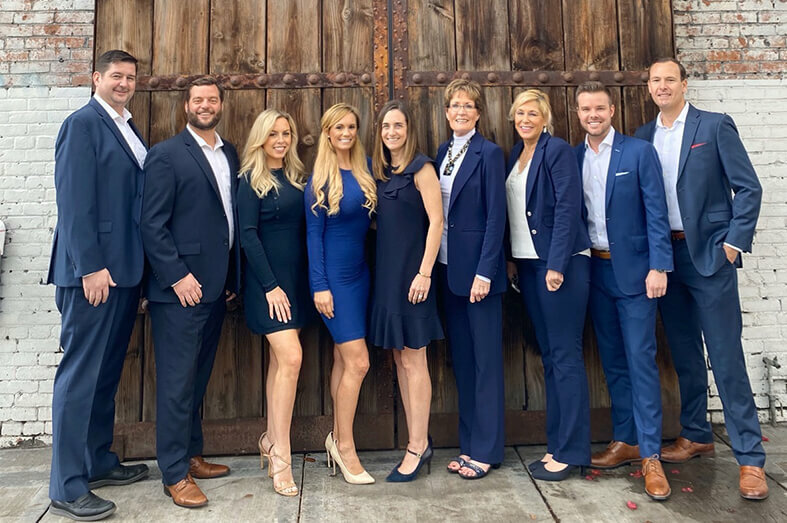 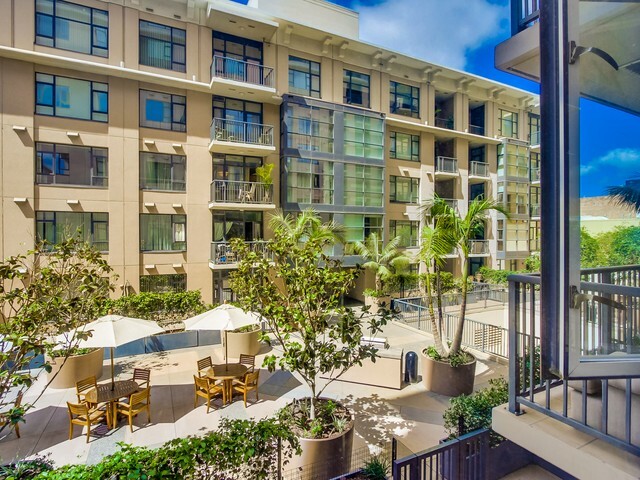 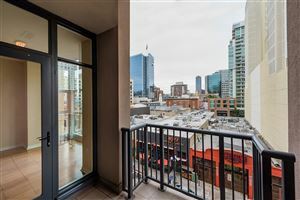 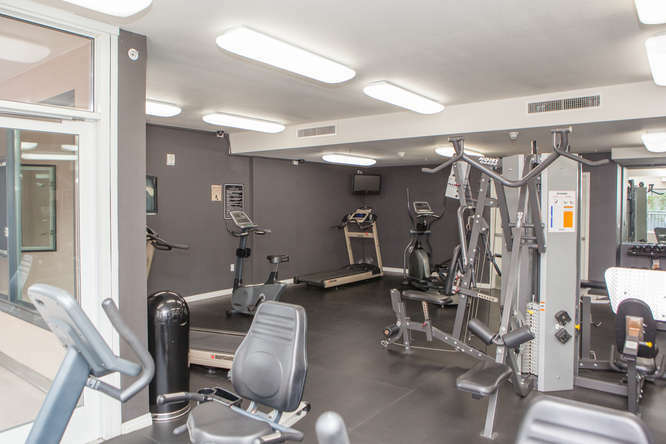 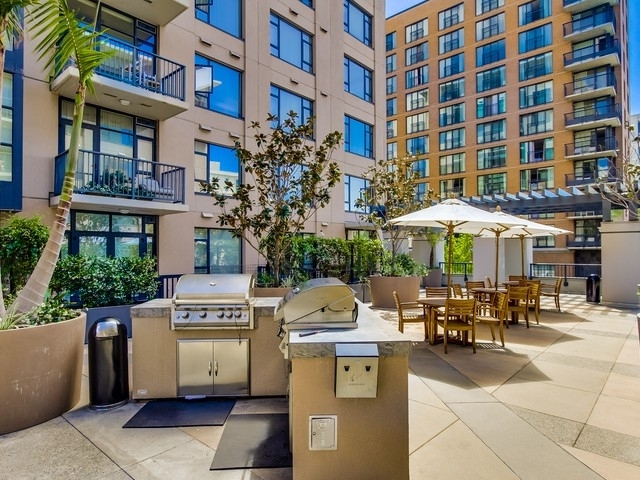 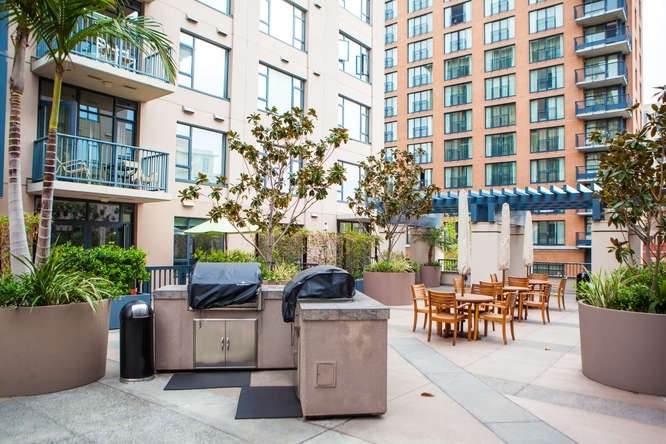 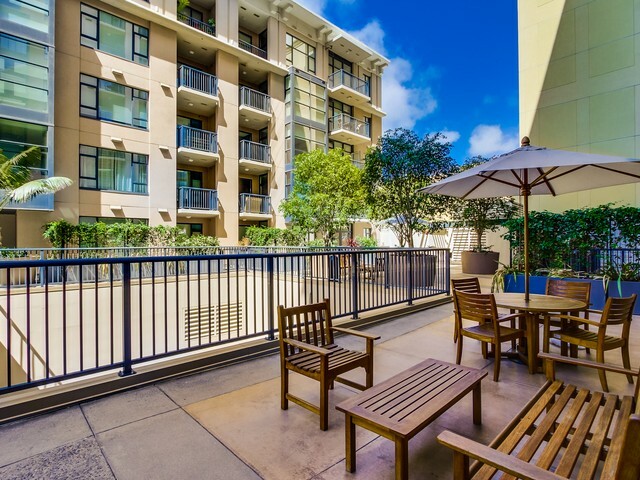 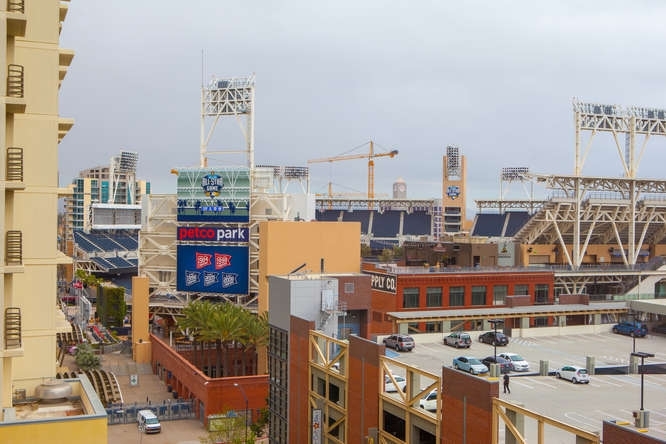 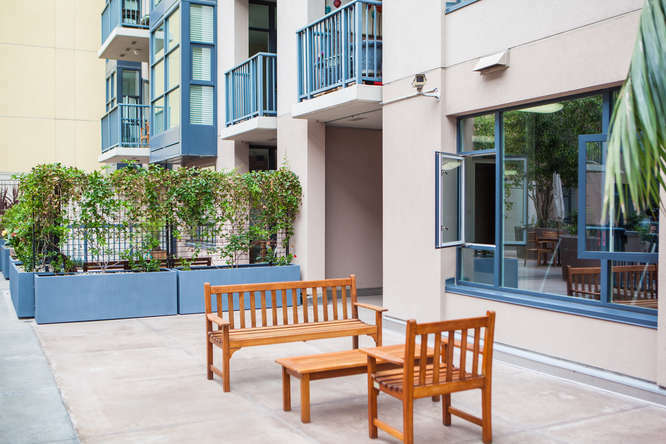 Trellis Condos are situated next to San Diego’s Hard Rock Hotel, and is within walking distance to exciting restaurants, bars, entertainment, the San Diego Convention Center, PETCO Park, and the San Diego Bay.